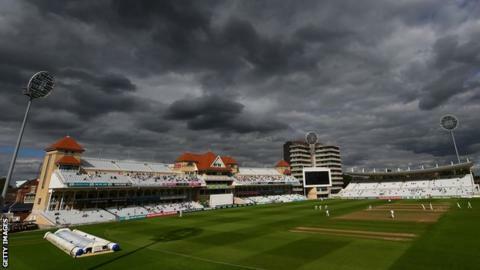 Nottinghamshire's relegation from the County Championship's top flight is "embarrassing", according to director of cricket Mick Newell. Notts will drop into Division Two next season after losing their penultimate fixture to leaders Middlesex. Newell, who will hand first-team duties to ex-England coach Peter Moores, told BBC Radio Nottingham relegation in cricket is "about the shame". "It's about the embarrassment of getting relegated," Newell added. "Financially it is not like losing your place in the Premier League in football. Financially it doesn't make a huge difference; it makes a difference to the supporters. "It is more about the impact it has on the ego of the players and the impact on the supporters who are used to seeing Division One cricket. "We are proud club; we have been in Division One for a long time and it's ten years since I stood here and had to explain away a relegation." Notts have only won once in the Championship this season and now return to Division Two for the first time in nine years.